What if you forget to carry the bare act to the class and the Wifi is not working? This happens a lot in our college. This app works without Internet, providing more than 540 Books on Indian Bare Acts with many comprehensive search features. You need this app if you want to stay in this profession. What if your computer system crashes? In today’s world, can you afford to misplace documents? 25 million users across 175 countries cannot be wrong. Dropbox has long been the go to application for mobile storage management. Any file you save to your Dropbox, whether it’s photos, docs or videos, will automatically save to your computer, Android or iPhone device, and even your Dropbox website account. You can easily transfer email attachments straight from your inbox into your Dropbox and even upload multiple files in batches. It is also useful for working on collaborative projects by creating a shared reservoir for research material and work product drafts. Never worry about accidentally misplacing a document or leaving behind that contract at the café; Dropbox affords you the mobility, privacy and security needed to keep you on the go. Now also available in French, Japanese, German and Spanish editions, Dropbox is a must have document management and file transfer application. What is the meaning of ‘demurrer’? What is ‘de novo’? These words fall in the list of “Top 10 words every paralegal should know”. Kidding, they do not. The point is, it is not easy to retain complicated legal words and you need help at times. But I get it. It is really not cost friendly. Though Black’s Law Dictionary is known as the staple for law students, but at almost $60 for the app, it may be too expensive for prospective students. We recommend Law Dictionary & Guide as an alternative. 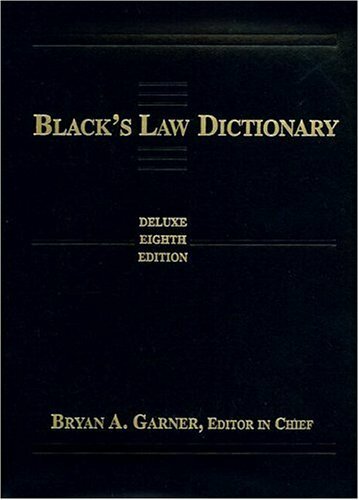 The Law Dictionary Pro app includes 23,000+ entries, Black’s Law Dictionary (2nd Ed. in PD) and full copy and paste functionality, offline reading, hundred of legal articles 600+ abbreviations, law journals, legal maxims etc. And it is free. Well, it is a pretty good deal. What if there is a better way to learn which also cuts down on the total study time?? Flashcards are an incredibly useful tool for studying, but they aren’t always convenient to make and carry around; that’s where your smartphone comes in. Best of all, using the correct spaced repetition software (based on question-answer pair), these apps can even cut down your total studying time by only quizzing you on the things you are about to forget. 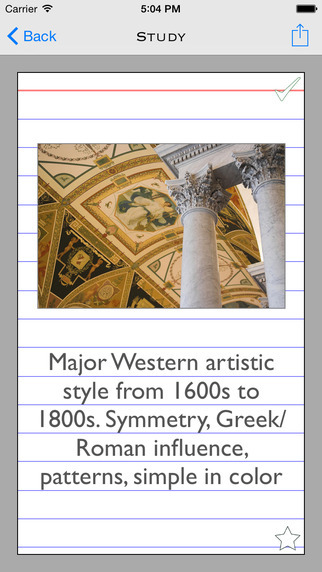 While there is a surprising lack of good apps for flash cards on the iOS App Store, Flashcardlet is pretty effective. Cards can be created within the app or through an internet browser. AnkiDroid is probably the most customizable of the apps on this list for android. There are settings for the font size and color, background color, screen rotation, full screen mode, whether or not to show scrollbars, how often to repeat certain cards, and more — pretty much any of the options you could ever possibly need. There are even fancy graphs that show you stats about your studying. It is a general sight in a law school to see students running after the Bluebook during the moot internals. Want to avoid that? The Bluebook can be downloaded through Rulebook for $39.99. Again, the question which came to my mind “Too expensive”? Well, getting the frequently referenced, ever expanding (over 500 pages!) spiral bound 8.3 x 5.7 book in signature blue on your apple device? We leave it on you to make the decision call. Parliamentary debating is certainly a big deal in law schools. You can get some help here. Debate Assistant works over two formats, British Parliamentary Debate and Asian Parliamentary Debate, and has a separate timer and motions for each format. It is not a very popular app but can be of some use. Stay organized, take notes, snap a picture, record a voice memo — these are all things you can do with Evernote. The COMPLETE Constitution of India presented in a readable and searchable format. It is divided concisely into Parts, Chapters, Sub-Sections and contains the full unedited text of all the Articles. If you get bored of this app- you better rethink your choice of profession. A very basic but a necessary app. Used for converting documents into pdf files and vice-versa. Well it is a first of its kind app in India. It provides us with an interactive platform for network of lawyers, legal Information, legal news, law firms etc. You can use it till the time Lawctopus does not come up with its own app. No matter where you are, West Law Next lets you tap into the world’s leading research system, save documents, highlight important notes, share your folders and email selected text with validated references and sources. The lecture on labor law is too boring and you are again fiddling with your phone? You can play these lightweight law games on your mobile devices. It test a player’s knowledge on subjects like civil procedure, torts, contracts, criminal law and more. “It’s a good way for prospective students to kind of get their feet wet and sort of see what kind of information they’ll be dealing with in law school,” says Kris Turner, reference and technology services librarian at the University of Wisconsin Law School. Well, this is going to be an important one. But only for the iOS users. If you’re struggling to write that project or problem solving assignment, this app has plenty of tips to improve your legal writing and help you to beat writer’s block. Again, only for the iOS users. A-research-it-later application which helps you jot down things you want to know or research, but don’t have time to when it crosses your mind. It helps keep a record of all our ‘brainslaps‘ (a term coined by the Dunno team for random thoughts that cross your mind). Run to the library computer center every time you need to get a document scanned? Not anymore. This is my favorite app. CamScanner is an app that uses the phone camera to scan an image and convert it into a PDF to easily share it over mail or text.The app uses your phone’s camera to scan printed documents, receipts, business cards and even words and doodles on a whiteboard. When you finish a scan, CamScanner analyzes the content of the image to automatically organize everything by type. That means, all of your business card scans are saved in one folder, while documents go in another. As an added bonus, the app also lets you create scans from photos you’ve previously taken. Most importantly, the scan quality is stellar, though your mileage may vary by your phone’s camera. You will be using this application for life. It is better to start now. While social networking in the legal community might not be as fun as Facebook or Instagram, you can start keeping track of valuable connections online even as a student. If you haven’t already, throw your profile out there and start adding the people you meet at networking events. They could come in handy when job-searching later. For the last 6 months, I have religiously followed the law section on feedly. It was there where I got the idea of starting the blog on ODR. A single place to easily read all the news you rely on to think, learn, and keep ahead. It lets you organize all your favorite publications, podcasts and YouTube channels into collections and receive updates when new stories and videos are publishes. It lets you tam into the power of the web, dig deeper and discover great new sources from around the world. My co-founder, Umang Poddar, who is also a major contributor to this blog, uses this app everyday and people say that there is a visible difference between the blogs we both write. Honestly, his vocabulary is much more extensive than mine. Well, I also had to download this app today. Can’t afford to fall behind. ODR For Dummies: The ‘What, How, Why’ of it all What is the nicest way to resolve disputes?